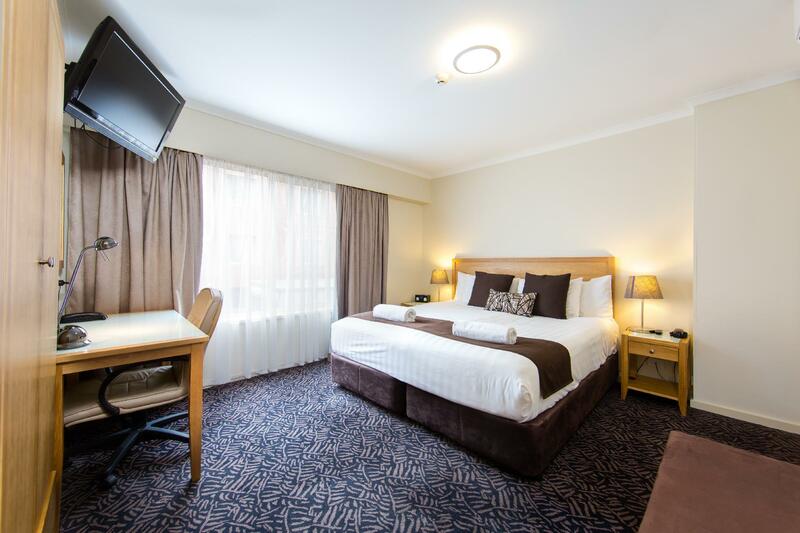 الخيار الأفضل للحصول على المتعة والاسترخاء, Best Western Plus Albury Hovell Tree يقع في منطقة South Albury في ألبورى. يقع مركز المدينة على بعد 1 km فقط. ويمكن الوصول إلى المطار خلال 10 دقيقة. كما يمكن الوصول بسهولة إلى Albury Wodonga Farmers Market, بي اس كومبرونا, ‪Albury Botanic Garden‬. 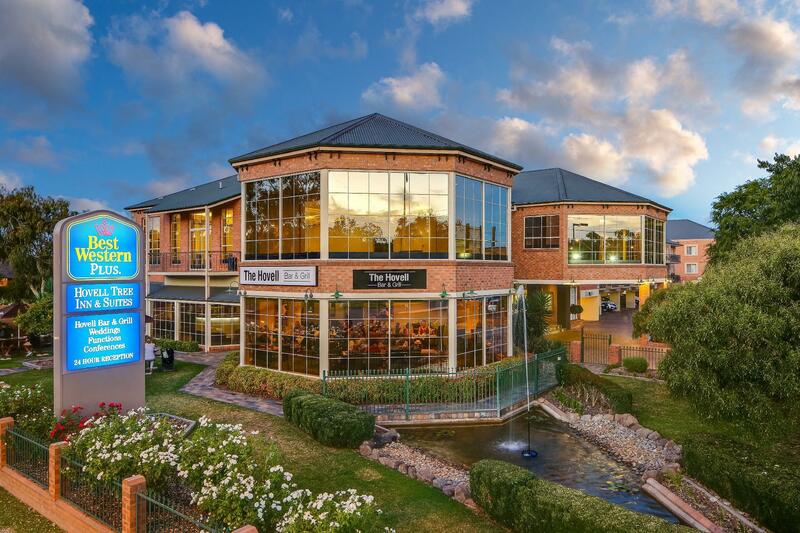 إن الخدمات التي يقدمها Best Western Plus Albury Hovell Tree تضمن للنزلاء إقامة مريحة. لضمان راحة ضيوفه، يقدم الفندق الخدمات التالية: واي فاي مجاني في جميع الغرف, مكتب الاستقبال على مدار الساعة, مرافق مخصصة لذوي الاحتياجات الخاصة, تسجيل وصول/خروج سريع, تخزين الأمتعة . ادخل إلى واحدة من الغرف 60 وتخلص من عناء نهار طويل بمساعدة مجموعة كبيرة من الخدمات كمثل تلفزيون بشاشة مسطحة, بياضات, حوض الاسترخاء, غرف لغير المدخنين, مكيف هواء الموجودة في بعض الغرف. صممت خدمات الاستجمام في الفندق والتي تتضمن حوض استحمام ساخن, مركز للياقة البدنية, ساونا, حمام سباحة خارجي, سبا لمساعدتك على الاسترخاء والراحة. 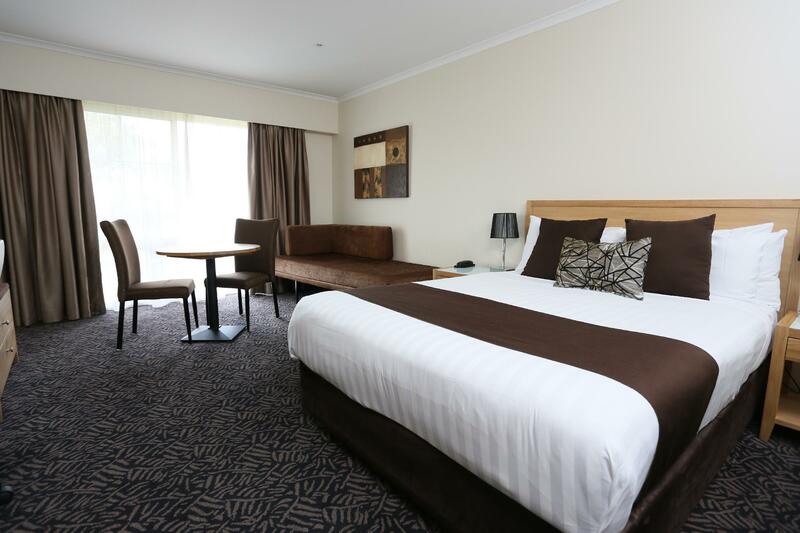 إن Best Western Plus Albury Hovell Tree هو خيارك لخدمة الفنادق الراقية في ألبورى. We stayed one night (Sunday) in a Deluxe Queen room in the main building with undercover parking. Our room was clean and comfortable; reasonable in size with a balcony however did not have the facilities as shown in the photos on the website (see photos below). It was disappointing to find that the restaurant was not open on Sunday however some meals were available from the bar. Our meals were good and plentiful but difficult to eat from bar stools. There were good choices for breakfast which were included in the room tariff. Our stay was pleasant enough but disappointing the room did not match the photos on the website . Noreuil Park opposite is beautiful. Friendly staff, clean room, comfortable bed. Hovell Bar & Grill food was absolutely amazing, compliments to the chef on duty. Restaurant part was closed which was unusual for New Years Day. The bar served food and was short staffed but Larra managed to do the work of 3 staff, cashier, bar, serving & cleaning. She kept a calm pleasant manner considering the amount of customers there. What a star employee. Booked the deluxe queen. Massive room, with lots of areas to store baggage etc. 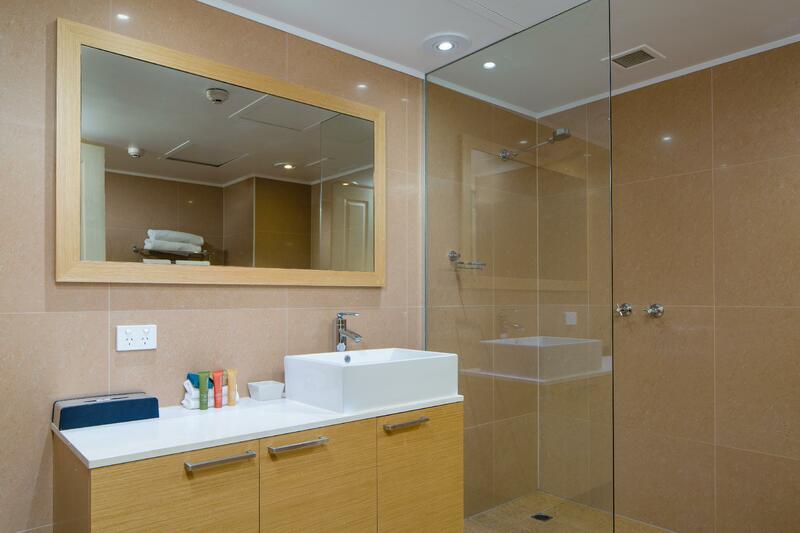 Huge bathroom, very modern. Great, quiet balcony area to sit and relax. Extremely comfortable beds, best nights sleep! Internet speed terrific. Hotel check in staff were fantastic and extremely friendly. I did not eat in the restaurant but it looked the place to go. Parking under the building and free. Will defnitely be staying her again when in Albury for work. We stayed at this property overnight on our way home to Melbourne and it was a refreshing stopover. Beautiful location across from the river and parks, with main shopping street with restaurants etc around the corner. 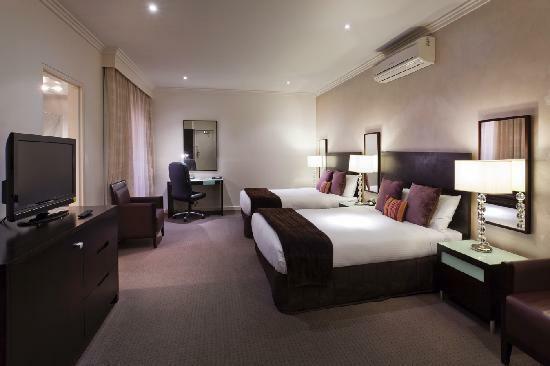 Staff were lovely, room was spacious and perfect for our little one to crawl around. Would definitely stay again. We were very tired after our long drive and all we wanted was a comfy room and a good meal. We spoilt ourselves and ordered fillet steaks for room service... we were both shocked and very happy with the enormous and perfectly cooked meals! And then to be greeted by a super clean bathroom and walk-in shower was the best way to unwind. We didn’t feel the need to leave the room, which was very spacious and had a nice private balcony. Our queen bed was super comfy and just what we needed to rest and recharge. In the morning, we took a short walk across the road to a beautiful little spot on the river where we sat in the park and had a great brekkie from the local cafe. Lots to see within a very short distance from the hotel. If I am ever back in Albury, I would have no hesitation booking this hotel again. Exception service from Mitch and Sandra Stovehood exhaust in kitchen not working ... weren't able to fix it on a Sunday was concerned about safety and smoke from cooking breakfast etc may cause trip of fire alarm so reception lady solved problem with complimentary breakfast for us. Would definitely return. We were pleasantly surprised that the room was large and had a cantilever balcony overlooking a tree, so it was visually private (Rm 6). Unlike most hotels, where the robe is in the entry hallway, the robe and built-in luggage rest are to the side of the entry, effectively another hallway leading to the bathroom. Hallway and neighbour noise is muffled, however, the plumbing noise is somewhat loud. Food at the restaurant was delicious (we tried 2 of the salmon dishes). We added the cooked breakfast to our booking and this means selecting from the menu which actual dish you want (my eggs benedict with ham was perfect) plus access to the continental buffet of fruit, cereal and danishes. The restaurant has a great view of the park across the road, and the immediate hotel landscaping. We will come back for sure..and I love the room. it's really clean and huge !!!! helpful and friendly staff. room was spacious and clean. We stayed one night passing through. 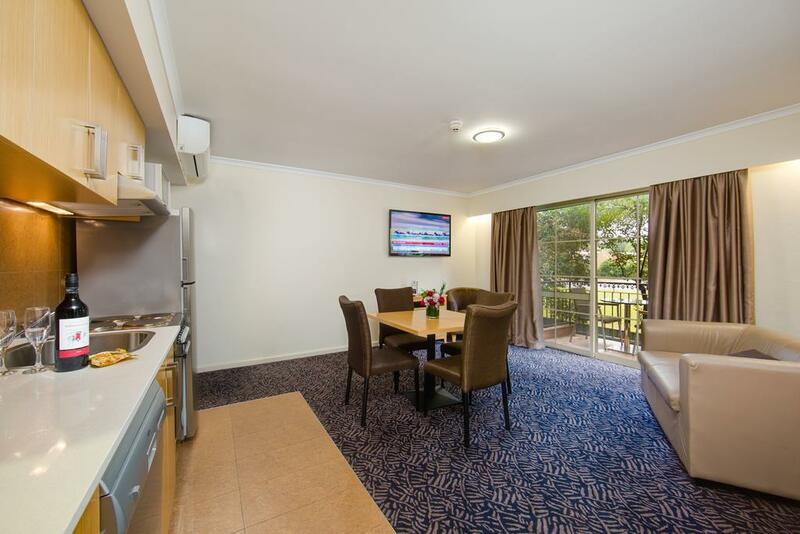 The motel is well set up for us and we found the 2 bedroom apartment ideal for our needs. Cleaniness, layout of hotel room & location. Return visit to this hotel on our way back to Melbourne. Experienced the same as our first visit. Definitely recommend this hotel if you are staying in the Albury area. Only stayed overnight but found our room spacious, extremely clean and located in a good location with a lovely park on the Murray across the road. 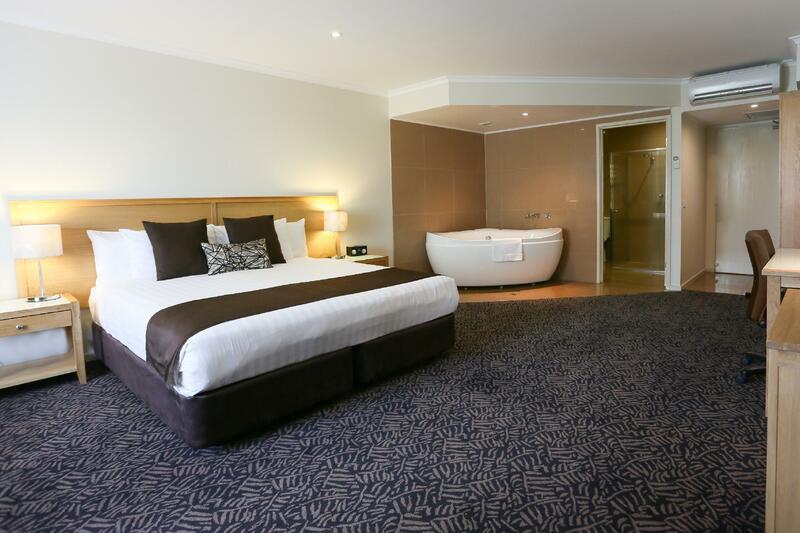 I would definitely recommend this hotel to anyone who is staying in the Albury area.